The Wigwam’s Red Course is a favorite among locals and club members. The wide, tree-lined fairways lead to generously-sized greens while streams and ponds meander throughout the course bringing water into play on 10 holes. 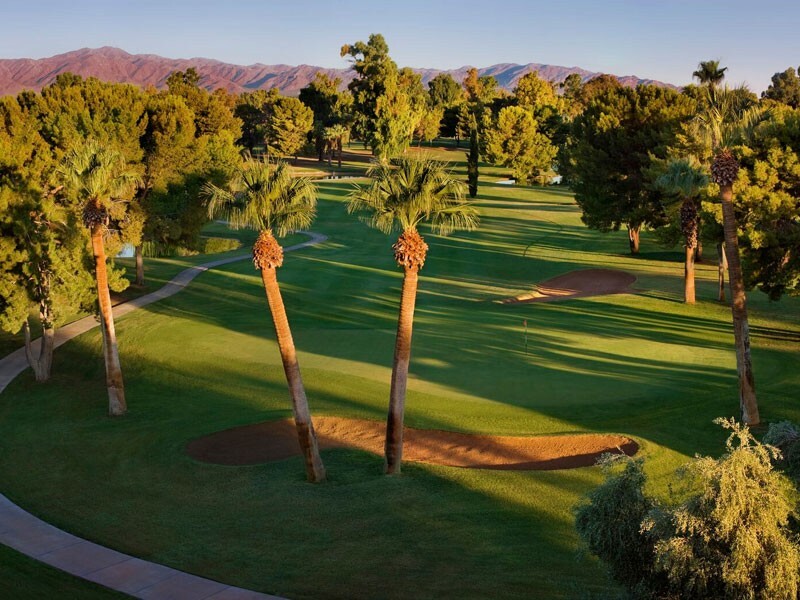 The Red Course was designed by Arizona Golf Hall of Fame member and golf course architect Robert “Red” Lawrence. Nicknamed the “Desert Fox” for his brilliant design of Desert Forest Golf Club in Carefree, Arizona, Lawrence’s other notable designs include the Championship Golf Course at the University of New Mexico in Albuquerque and Tubac Golf Resort in Tucson where the movie Tin Cup was filmed. Built in 1972, the Red Course is a traditional layout lined with pine and eucalyptus trees. The course’s closing stretch of holes (15, 16, 17 and 18) just may be the toughest final four holes in the Phoenix area. The 15th hole is a 414-yard par-4 that requires a well-placed tee shot to bring birdie or par into play. The 454-yard, par-4 16th features a dogleg left and an approach shot to an elevated, well-protected green with water right and back. The 17th hole is a lengthy par-3 measuring a solid 250 yards from the tips. And finally, the 591-yard 18th hole is a monster par-5 with a dogleg left off the tee. Three well-played shots are required for a chance at birdie or par on the closing hole.